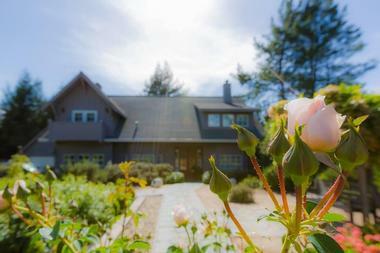 Oleander House is set in the middle of Napa Valley wine country, with easy access to downtown Napa. There are five elegantly appointed guest rooms, each complete with wall coverings by Laura Ashley. The extensive gardens are welcoming as guests come up the entrance way and into the Oleander House. 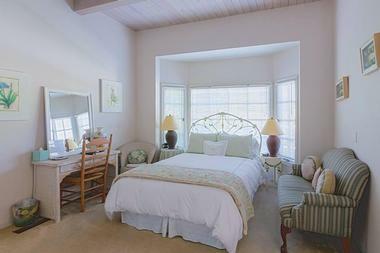 The fourteen foot ceilings and large windows throughout all for a spacious, airy atmosphere throughout the house. There is a Guest Lounge area which is always stocked with complimentary beverages, snack, reading material and wine glasses. It is the ideal place for guests to put their feet up and relax. Outdoors, guests can unwind in the hot tub or on the patio. There is free Wi-Fi throughout the property. The house is very liveable and guests will feel right at home at Oleander House Bed & Breakfast, with its French country flare. Each room at Oleander House is tastefully decorated and has an open, spacious feeling with lots of light and vaulted ceilings. The Sunset Rooms are available in three choices, however, they are interchangeable so there is no guarantee guests will get the exact room of their choice, just that they will get a Sunset Room. The Sunset Room choices are the King Suite, which features a soft king size bed, and a seating area complete with French doors to overlook the Napa Valley; the Spring room, offering a king size bed in a very spacious room done in warm color tones; and the Summer room, hosting a king size bed with lots of afternoon light and brightly colored wallpaper, to reflect the summer season. Each of the Sunset Rooms includes a fireplace and also air conditioning. The Fall Room is spacious and adorned in wooden accents, giving the room a more masculine feel. There is a queen size bed to fall into after a long day as well as a fireplace to cozy up next to. There is a skylight above the tub, allowing in extra light. Guests will enjoy sipping a drink on their private balcony as they watch the sunset with the Mayacamus Mountains in the foreground. 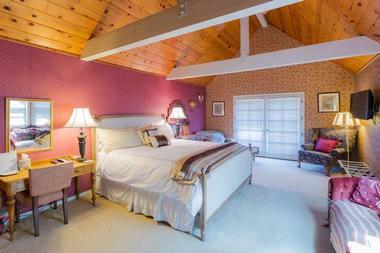 The Garden Room is located on the ground floor and features a queen size bed and a bathroom with shower only. This room has its own separate entrance along with a private brick patio for enjoy the surrounding gardens. Because of the easy access to the shower, and the ground floor location, this room is very senior-friendly. 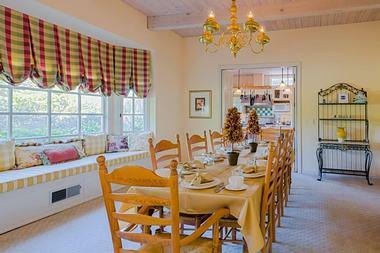 Since Oleander House is a bed and breakfast, guests are treated each morning to complimentary breakfast. It is served at 9 a.m. each morning, family style, in the dining room. Guests have a chance to mingle, chat about wine tastings, trade hints and tips about the area and get to know others staying in the house. Breakfast is made fresh, using local ingredients and always offers a protein selection as well as fresh fruits plus coffee and tea. If there is a particular dish which guests enjoy, they can request a copy of the recipe to make at home. Within a five minute drive, guests will find a myriad of restaurant choices for lunch and dinner. The innkeepers are more than happy to assist in selecting an appropriate eatery based on guests' needs, preferences and taste. The R+D Kitchen is a favorite, serving up lunch and dinner daily. The menu consists of sandwiches, salads, as well as heartier dishes like ribs, pasta and chicken. The menu even has a fresh sushi selection. The prices are reasonable and the atmosphere is casual. The downtown area is rich with nightlife and bars, pubs, wine bars and lounges. Bounty Hunter Wine Bar & Smokin' BBQ is right in the heart of downtown Napa. They offer an 18 page wine list for guests to browse featuring wines from all over the world. Their menu also includes over 40 types of American whiskeys available for purchase or by the glass. Downtown Joe's Brewery & Restaurant is a Napa Valley favorite for their selection of beer, including nine of their very own on tap. There is often live entertainment and dancing and also large televisions to catch the game. Vintner's Golf Club is located in Yountville, in close proximity to Oleander House, for guests wishing to enjoy a round of golf. This championship nine-hole course was opened in 1999 and features three different tees to accommodate golfers of all skill level. The course should take about two and a half hours to complete. Golfers will love the very well-manicured greens and fairways, plus the lush surroundings. There is a pro-shop on-site as well as the Lakeside Grill to grab a bite to eat after a great round of golf, or beforehand if preferred. Prices are very reasonable for non-residents and non-members. Eagle Vines Vineyards & Golf Club in Napa Valley is a favorite amongst locals as well as returning guests. They offer a championship 18 hole course for golfers of various skill levels, making it an enjoyable experience for everyone in the party. 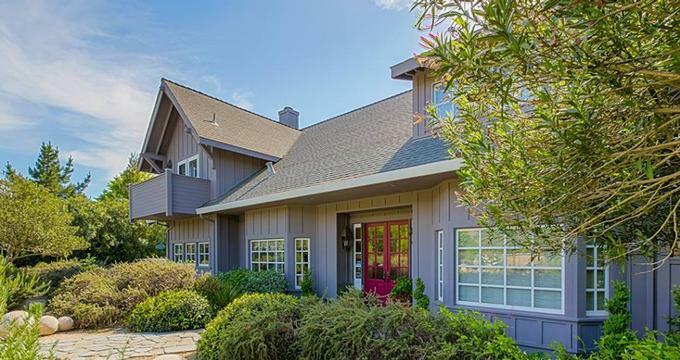 It is located on 173 acres in the Napa foothills, making for gorgeous scenery and lots of fresh, open air. There are several other golf courses in the area, which guests can contact to book tee times, including Silverado Resort, an 18 hole course; Meadowood Resort, an 18 hole course; and Kennedy Park Community, also offering 18 holes. If guests are looking for a spa experience, they can find exactly what they are looking for in Napa, just a short drive away. Greenhaus Day Spa is located in downtown Napa and offers guests a tranquil, relaxing environment to be pampered and indulge in luxurious spa treatments. The relaxing aromas, serene atmosphere and professional treatments will leave guests feeling rejuvenated and pampered. There are an array of services to choose from including facials, many different massages, body wraps and treatments and even bridal packages. If guests are looking to have their nails done, Greenhaus Day Spa also offers nail care services as well as waxing. GC Day Spa is another option, which is a little more intimate and is a family run establishment. They offer facials, massages and waxing services. There are a selection of packages available which include multiple services to pamper and relax guests for the day. GC Day Spa offers in-room massages to hotels should guests wish to arrange such services. Oleander House Bed & Breakfast offers special packages for guests to add to their stay which will only enhance their Napa experience. Guests will enjoy the option of many packages available, including an exciting Hot Air Balloon adventure. Napa Valley Balloons Inc. will pick guests up personally at Oleander, first thing in the morning and take you to the launch site where coffee, tea and fresh pastries will await. After a light snack and coffee, guests will be swept up for an hour long hot air balloon ride to view the gorgeous valley and amazing vineyards below. Upon landing, guests will be taken to Domain Chandon to enjoy a Champagne Brunch. Return transportation to the Oleander House is included. Just a mile and a half away from Oleander House, guests will find Napa Valley Bike Tours. They rent bicycles of all types and for many purposes. There are guided tours available as well as helmet rentals, to explore the finest wineries and sip away the afternoon at the various tasting sites. If bicycles aren't exciting enough, Segway Napa offers Segway tours of the area. There are two different tours available, one three hours and one two hours. Lessons on how to use the Segway are included with the rental so no one will feel as though they don't know what they are doing. Segways offer guests an eco-friendly method of travel, at pedestrian speed without using physical power. If anyone finds themselves in the area and in need of a room, there are often last minute specials available, where walk-in guests are given a discount on available rooms. It is definitely worth checking into.